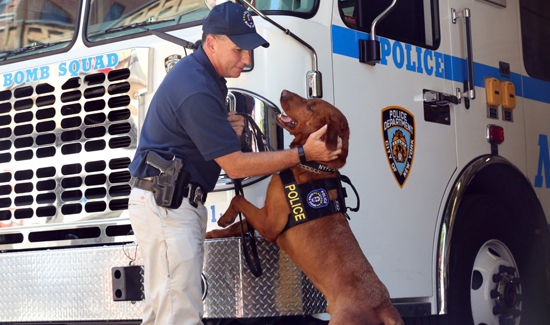 There are calendars touting city firefighters, cabbies — and now, even NYPD dogs. A nonprofit police foundation has published the first calendar showcasing the department’s adorable dogs in its K9 unit. The calendar’s front cover shows a panting pup with its head sticking out the window of a police car. Those who donate $20 to the New York City Police Foundation will receive the 13-month calendar, which runs through January 2018. All proceeds will directly benefit new and ongoing NYPD programs and initiatives, according to the website for the foundation.